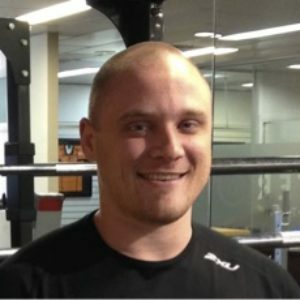 Mitch is an Accredited Exercise Physiologist (AEP) with Exercise and Sports Science Australia, having completed a Bachelor degree in Exercise and Sports Science at the University of Newcastle in 2013, and Master in Clinical Exercise Physiology (Rehabilitation) at Charles Sturt University in 2014. Recently, Mitch has worked as an AEP performing health coaching and exercise prescription. Through his role as a Workplace Rehabilitation Consultant Mitch has a vast knowledge and experience in health and ergonomic assessment, injury prevention and rehabilitation, exercise prescription, and the WorkCover system. Mitch has worked in the fitness industry for the last 10 years, and since his graduation has worked in various roles of athletic development. Mitch worked with the New South Wales Institute of Sport (NSWIS) as a player welfare manager, strength and conditioning coach and sports trainer, assisting their youth soccer and Women’s Jets development programs. Mitch’s success has been chiefly due to his passion for the health, learning, and helping people.